This post has 7,379 views. I survived my first academic year as a graduate student, and my adviser was nice enough to let me have a bit of a vacation before I start my summer research work. My parents came to visit, so it was a family vacation. Over the last three weeks, we went to New York City, Washington DC, Philadelphia, and Boston, so basically the major cities in the northeast/eastern part of the United States. As always, the post contains an account of the trip accompanied by some thoughts and photos. The always busy Times Square. The first destination we went to is NYC, mainly because I have never been there before. Upon first arrival, New York (more specifically Manhattan) was exactly how I thought it would look: busy, lots of tall buildings, and a bit grey and grimy. I guess most of the depiction of NYC on TV and other mass media are mostly accurate. We spent the first day walking around midtown Manhattan, to the public library, Time Square and Grand Central Station. 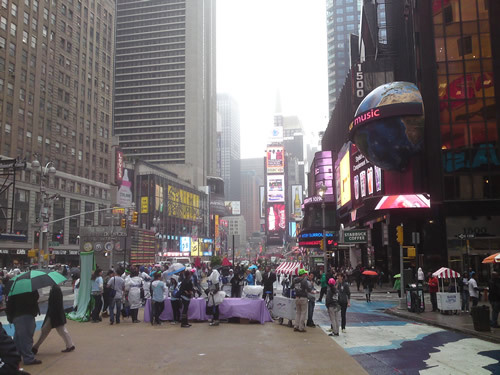 Time square is a very, very busy square, and that was about it. The public library and Grand Central were very nice with elaborate decorations and fixtures throughout the buildings. Those are the kind of things that you find in cities with a fair bit of history, and they don’t build buildings like these in modern times. 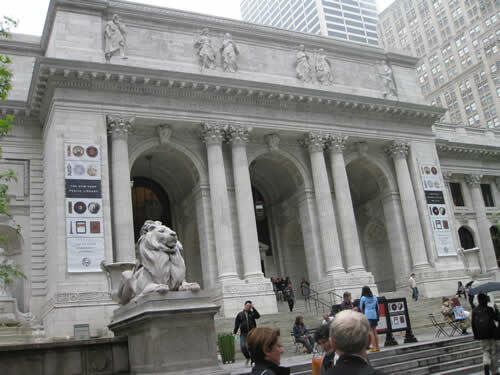 The New York Public Library. I remember this from the film The Day After Tomorrow. 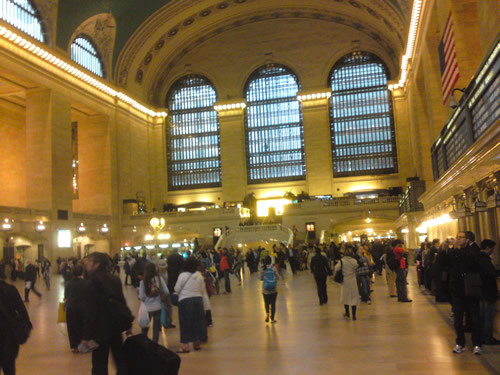 It wouldn't be Grand Central without a grand interior. 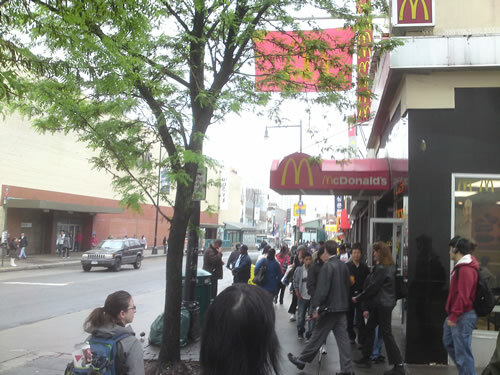 A photo of Flushing's "Chinatown" area, lined with Asian shops and eateries. We stayed in Flushing while we were in New York. Flushing is a neighborhood in Queens and also has a Chinatown (lots of Korean places as well). There are plenty of Chinese stores and restaurants in Flushing, and that’s convenient for my family. We had some Szechuan cuisine for one night and it was very good (and also very spicy). Flushing is a bit away from Manhattan where many of the attractions are, but the subway connects to there so travel isn’t too bad. Speaking of the subway, NYC’s extensive subway system is a very convenient way to get around the city. There are lots of lines and lots of trains, and we found that the crowding wasn’t too bad as long as we avoided peak hours. 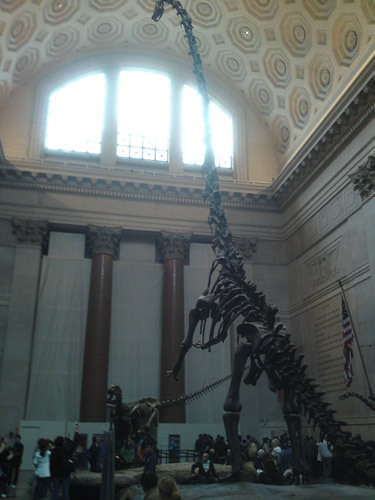 The lobby of the American Museum of Natural History with the giant dinosaur skeletons. Back to the trip, on the second day we went to the American Museum of Natural History. The museum is located on the west side of Central Park, and it is very large. The museum was so large that at first we couldn’t figure out where the main entrance was and instead we went through a side entrance. The museum was doing some repairs, but there were plenty of thing to see through the five floors of exhibits. I used to be one of those kids who loved animals and dinosaurs, and so I was eager to see everything, but the museum proved to be quite the walk and we were all a bit tired after going through all the floors. 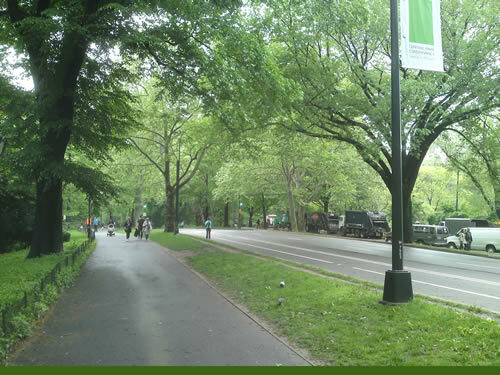 A part of Central Park near the American Museum of Natural History. After visiting the museum, we walked a bit in Central Park. It was a nice piece of greenery in the otherwise busy NYC. We stayed mostly near the streets and didn’t go to any of the notable places inside the park, and so we’ll be sure to come back next time. For dinner, we went to the Chinatown in Manhattan. 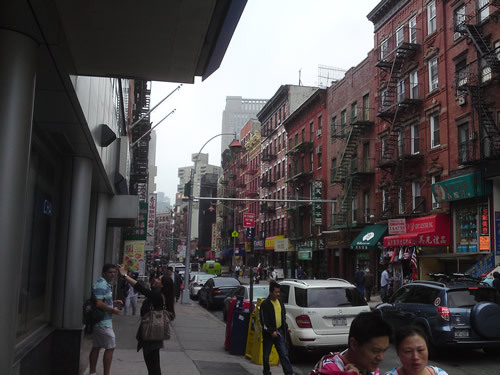 The Manhattan Chinatown looks more like the classic Chinatown: lots of people, old buildings, and dirty streets. The Chinatown in Vancouver looks more or less the same too. Still, if you can get past the crowds and the look, Chinatown is still a good place to go to especially for food. Needless to say, our dinner was delicious. 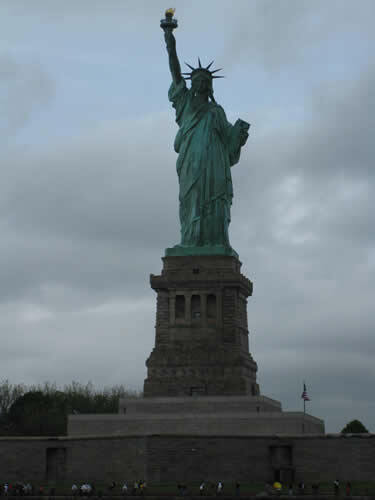 A photo taken of the famous Statue of Liberty while we were on our cruise. 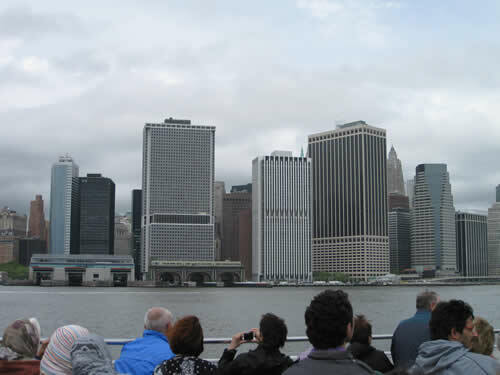 Some of the skyscrapers of Manhattan seen from the tour boat. Because we walked too much on the second day, the next day we took it easy and went to west side ports to take a cruise around Manhattan. The cruise dock is near the Intrepid Sea, Air & Space Museum featuring the World War II aircraft carrier the Intrepid, but due to time constraints we didn’t go into the museum but just took photos from the outside. We first went south down the Hudson to the Statute of Liberty and downtown Manhattan before going back north and around the island. The first half of the cruise was pretty good and we took lots of photos, but after that it started raining and we all had to retreat into the interior of the ship. There wasn’t that much to see in the northern end of Manhattan either. The bad weather continued after the cruise, and we decided to go watch a movie to kill time. We watched Thor in 3D, which wasn’t the worst superhero movie I’ve ever watched, but certainly wasn’t the best either. For dinner, we tried the famous $1/slice pizza. It wasn’t bad, but I probably need to eat four slices to be full, and I didn’t want to eat just cheese pizza, and so we went to another place and had some sandwiches and fried chicken. On our final half-day in NYC, we returned to Chinatown again for some dimsum. We’ve heard that New York’s dimsum is good and inexpensive. The place we went to was certainly inexpensive compared to Vancouver, but the food wasn’t as good as the top restaurants in Vancouver either. We left NYC after dimsum. Our four day/three night trip to the city was enjoyable except for the bad weather during one of the days, and I’ve finally been to New York. There are plenty of places we didn’t get to visit this time around, but I’m sure we’ll back some time in the future. My family drove to Maryland to visit some family friends, and since we were close to DC we decided to go look around during one of the days. 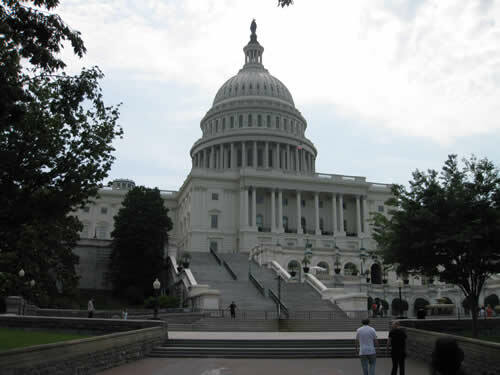 We’ve been to DC before, but the Mall area of the capital city has so many museums and attractions that there were plenty of places that we haven’t been to. We first walked around the Capitol building before heading into the National Gallery. 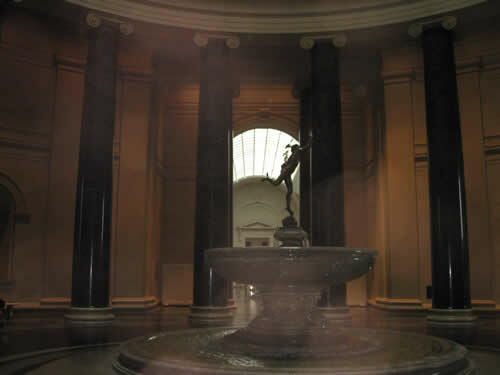 The National Gallery was an impressive place with many paintings and other pieces of art. It’s too bad that nobody in my family is a real art connoisseur, so we mostly just walked through gallery. We only saw about half the gallery this time, and so perhaps we’ll return to see all of it in a future trip. The National Gallery at DC. This is probably the center area on the main (second) level of the gallery. Later during the day, we headed out of DC and to the National Air and Space Museum Steven F. Udvar-Hazy Center near Dulles Airport. 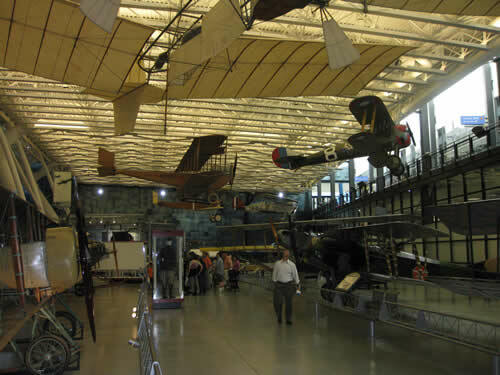 The Steven F. Udvar-Hazy Center is an annex of the National Air and Space Museum in Washington DC and is basically a large hangar for displaying planes, spacecraft and other related items. Unlike the main museum at the Mall, this center is not very crowded and I’m guessing it’s not as well known either. My family didn’t know about the place until someone mentioned it to us. 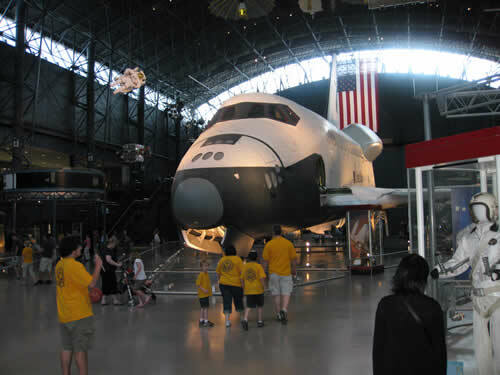 The Steven F. Udvar-Hazy Center has a number of notable exhibits, including the space shuttle Enterprise, the Enola Gay (the bomber that dropped the atomic bomb on Hiroshima), a SR-71 Blackbird and more. It’s a very cool place to visit especially if you are into aviation and that kind of stuff. As with all Smithsonian institutions, admission is free, but parking is $15. So unless you go there by bus there is an admission fee of sorts, but I think it’s still more than worth the visit. The Steven F. Udvar-Hazy Center has planes displayed on the floor and hanging in the air. The space shuttle Enterprise is one of the many notable items on display at the museum.